Carmen Bouyer, Paris. Tim Collins, Glasgow. Karahan Kadrman, Istanbul. Maggie Lin, Hong Kong. Patrick M. Lydon, Osaka. Jennifer Monson, Urbana. Fanny Retsek, San Jose. Julia Stern, Paris. Cecilia Vicuña, Santiago & New York. Tim Collins, GlasgowWe began to understand indications of health and well-being, but standing before the tree we sensed a slow moving entity whose breath signs were hard to perceive. Karahan Kardman, Istanbul We use air to communicate with the universe, with nature, and with people through breathing. 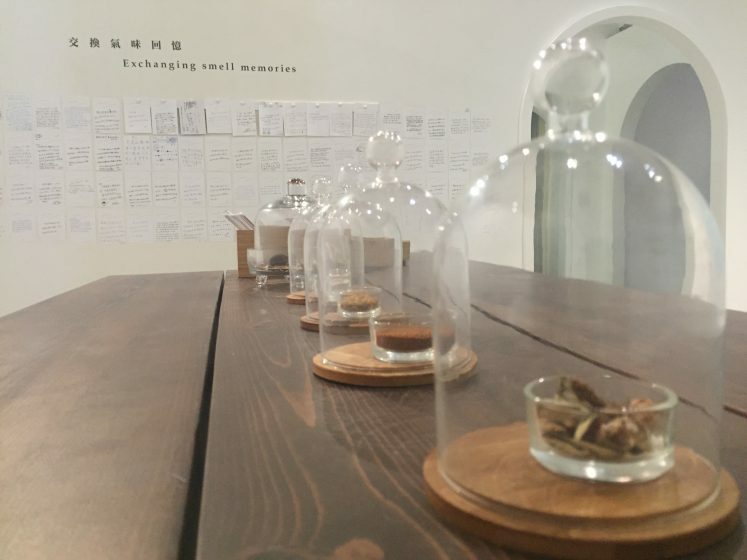 Maggie Lin, Hong Kong Sensory stimulation in Hong Kong can be overwhelming, it is easy to numb our senses … ‘nose hk’ began as a pop-up perfumery to bring mindfulness to the urban setting, and to tell the story of Hong Kong through smell. 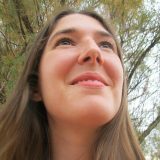 Jennifer Monson, Urbana The body is a highly tuned instrument for calibrating these small shifts, and for collecting environmental data … with more layers than most of the digital tools we use. Fanny Retsek, San Jose This work reminds me to make an effort as I rush along to look at the wondrous life in the air above. Julia Stern, Paris Air becomes a tool to communicate, dissolve tensions, transform resistances, it opens up hearts and looks, cleans up the perception filters and cloggings in the body. Air becomes a vehicle of intention, a bridge between matter and consciousness. Cecilia Vicuña, New York If the commonality of our breath guides us, a city free of poisonous air may arise. Carmen Bouyer is a French environmental artist and designer based in Paris. In the late 1960s, an American artist Alan Sonfist, proposed an artwork consisting of reintroducing native plants and trees of New York City bioregion in lower Manhattan, the Time Landscape environmental sculpture and urban forest became one of the first visually apparent collaborations between artist and nature in contemporary art. Many others—independent of one another and virtually around the same time—came to similar turning points, Robert Smithson, Richard Long, Helen and Newton Harrison to name just a few. As well, most artists before and since, whether painter or sculptor, composer or dancer, were essentially doing the same thing, even if less readily apparent to the viewer. In an even broader sense, human beings have been making work which spoke to the significance of our collaboration and relationship with nature for many, many thousands of years. Whether we see it plainly in the physical result or not, art is always a collaboration between human beings and the rest of this nature. 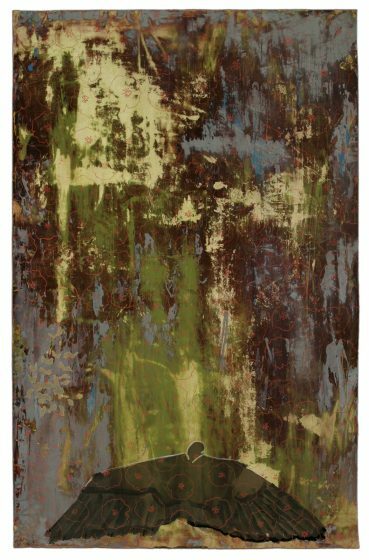 Thematically, this is the frame in which the “Artists in Conversation with Nature in Cities” series seeks to peer into and expand upon. 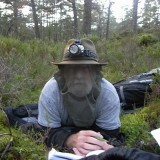 There are also many professions which lend themselves to being in touch with this way of thinking and doing: philosophers, writers, musicians, farmers, and—at least around The Nature of Cities—urban planners, architects, landscape architects, teachers, researchers, scientists, and a host of other professionals have their ears, eyes, and hearts tuned into the natural world. In this way, the act of taking part in art offers humanity a way to express our relationship with nature itself; literally, to allow nature to work through us. Today, we use the word “art” to suggest anything done with truth and beauty—Haley makes examples of “the art of cooking, the art of football, the art of gardening, the art of making cities”. We tend to use this term when a person’s actions seem “second nature”—the Latin roots of this phrase too, literally meaning something done “according to nature”. This roundtable is part of a series involving artists and creative practitioners from around the world, all exploring their working relationship with a specific element (water, air, soil, trees) of nature in cities. At times, the conversation taking place may be in the realm of metaphor, at times it may become a working dialogue, a physical relationship and exchange within nature. We wish to enlighten the deep undercurrent that flows freely underneath the surface of our urban everyday lifestyles, and practices that offer possibilities to communicate and immerse ourselves in the larger than human web of life. The artists here are investigating these forms of understandings. In various senses, they position themselves within and in co-existence with natural systems in the world. Moreover, they invite us to see the elements of nature as teachers and guides to honor and to learn from. Their art lies in creating the respectful conditions of a nurturing dialogue and transmission, upon a vast field of instinctual awareness that enables us to experience our profound interconnectedness with all beings. It depends on all of us to embody this intimate experience and let it inform our ways to inhabit the cities and the world. For our first roundtable, we invite seven artists to present their conversations with air in cities. Through their different creative practices, they invite us to encounter the air in a wide variety of ways. The air is, in their words, the breath that flows through all of us, and unites us in a “common ground”, it is the foundation for life. It embodies innumerable languages made of vibrations, frequencies, senses, sounds and movements. Its vastness connects us to the invisible and the spiritual, but also to the flight of birds, the passing of clouds and larger changes in the weather. It is a medium of consciousness. 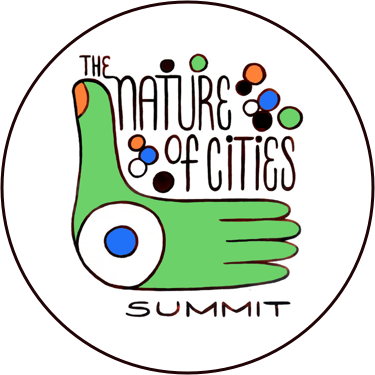 We hope you enjoy reading and participating in the conversations below, embracing the opportunity with us, to better understand, develop, and talk about our own relationships to the nature and character of cities. Fanny Retsek combines printmaking with drawing and collage. Her work focuses on environmental degradation, species decline and the cohabitation of humans with wild animals. This work reminds me to make an effort as I rush along to look at the wondrous life in the air above. When I want to see something wild I look up. The air above my city is full of bluebirds, juncos, chickadees, crows, red-tail hawks, turkey vultures. I also see blue herons and night herons, egrets, ducks and geese migrating. Peregrine falcons live downtown. Every fall the trees of the supermarket parking lot fill with red-winged black birds. Their sound is amazing. The sea gulls circle above my freeway onramp every morning, on their daily commute from the bay to the landfill. I have even seen a bald eagle. I am inspired by my glimpses of these wild animals as we co-navigate our shared neighborhood. These sightings are covetous, and witnessing the profane activities of my non-human neighbors has become a sacred experience, elevated and revered in my prints and drawings. Some species that have adapted and thrived in our cities are not always seen as successful and wild. Pigeons have lived in cities with man since the beginning of civilization. They have been used as food, religious icons, and messengers in war and in peace. These days however they are referred to as pests and exterminated as such. But they are beautiful and complex, living their own lives overhead. I join those who have celebrated the pigeon in art for over 5000 years, giving her the status she deserves. She does not often get that these days. Pigeons are incredibly intelligent. They can learn the alphabet, distinguish human individuals, and conceptualize. I have read that they can recognize themselves in a mirror, and in such is one of only six species that have been found to have this ability. And, I have seen how tenderly they raise and care for their young. 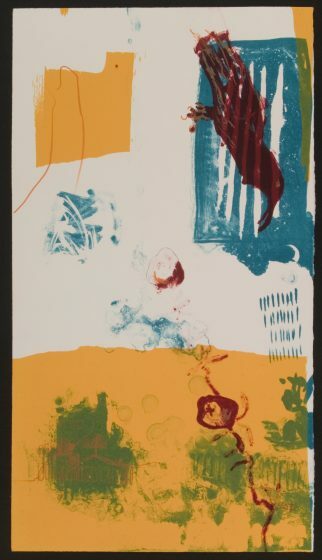 Poppy Reveals her Beauty, Fanny Retsek, screenprint monotype and drawing ink, 2005. I made Poppy Reveals her Beauty to pay homage to the pigeons I live with. It reminds me to make an effort as I rush along to look at the wondrous life in the air above. The layers of this print are like the layers of a city, built up and then stripped down, then built up again. Made for people, but we don’t live here alone. I am happy about that. The birds connect me to the greater ecosystem. The raucous crows also inspire my work. Because of their fearless and clever nature I see them as defiant. They are not tamed or subdued. They live here on their own terms. Crows have only recently returned to urban areas. Because people would shoot them, they tended to avoid us. But since it became illegal to fire a gun within city limits and crows became protected from indiscriminate killing in 1972 they have slowly repopulated American cities. Large flocks staking their claim. So when I think of the air above our cities I think of the 400 million pigeons who live among us. I think of the birds of all kinds that have been able to make a home where I have my home, and of those who just pass through. 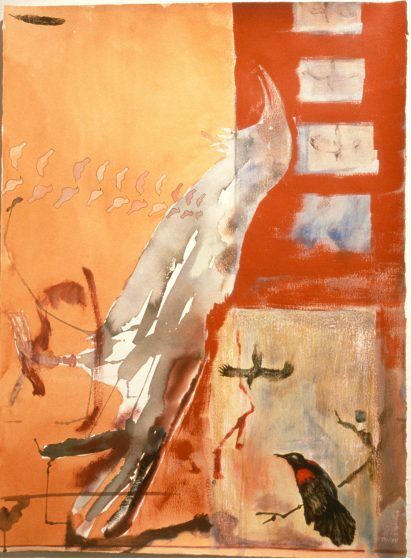 Birds, Fanny Retsek, watercolor and ink on paper, 2000. 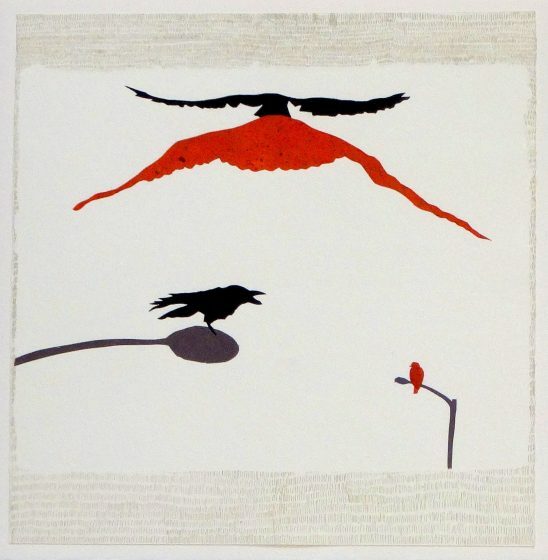 Common crow, Fanny Retsek, lithograph, 2001. 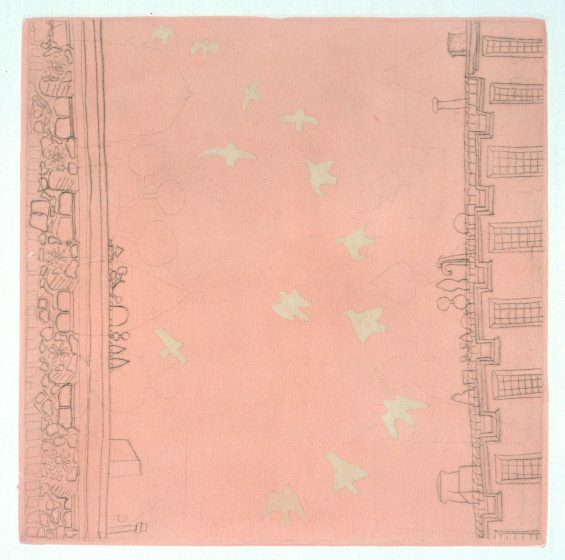 Instead of going to the Whitney, Fanny Retsek, etching with chine colle, 2004. Crow and the Hawk, Franny Retsek, etching and collage, 2015. 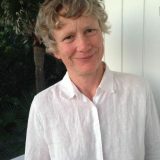 Inspired to introduce well-being creatively, Maggie creates sensory experiences. 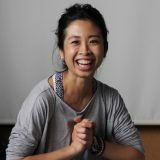 She cofounded a city perfumery nose hk, on smell and emotions, and teaches yoga and mindfulness. 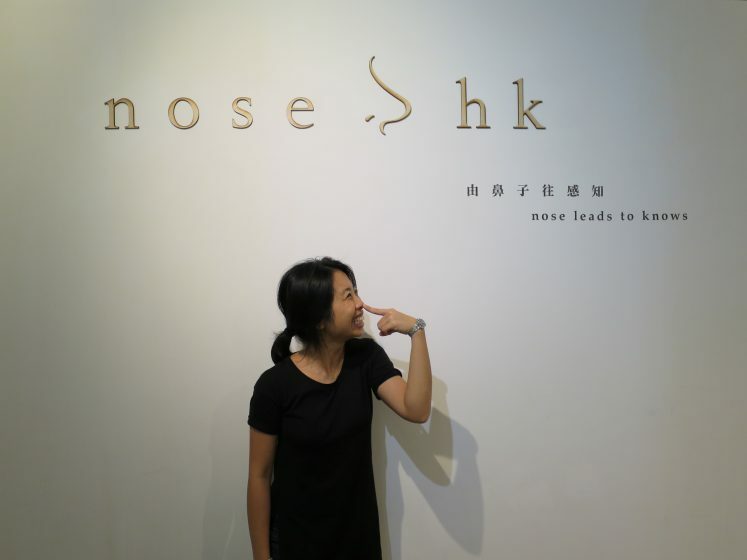 Sensory stimulation in Hong Kong can be overwhelming, it is easy to numb our senses … ‘nose hk’ began as a pop-up perfumery to bring mindfulness to the urban setting, and to tell the story of Hong Kong through smell. The five senses are gateways to the world. Through seeing, hearing, touching, smelling, tasting, we sense and relate to the surroundings. When we pause and engage our senses, we are fully present in this very moment, to take in the world around. All within an intake of air. A contrast to being caught in our thoughts and judgements—drifting into the past and future, and potentially causing anxiety and worry—pausing to engage our senses offers an entry point to mindfulness. With this in mind, nose hk began as a pop-up perfumery with a desire to bring mindfulness to the urban setting, and to tell the story of Hong Kong, its history, and its people through smell. It relates to the city’s history as an incense producer, as Hong Kong literally translates to “Fragrant Harbour”. Even today, the wild agarwood that naturally grows here (although an extremely small number remains) is more expensive per ounce than gold. Smell has strong ties with emotions. When we smell something, we can be transported back to an event, a person, a place of significance. Seventy percent of those who lost their sense of smell experience depression. One lady with such conditions described to me how she feels like she is being wrapped in a bubble or vacuum, having lost her connection with the world around her when she lost her sense of smell. Smell particles travel through air, reaching our olfactory receptors at the nasal cavity, before they are detected and received by the brain. Then the message is interpreted and noticed. Yet, as much as we know about how smell moves about the air and is received and processed by our body, individually we know very little about our relationships with smell. We have a limited vocabulary to describe our relationship with smell, and what words we do have are often referential—meaning we use one smell to describe another. Light, sound, or smell alone do not carry meaning in themselves, it is how we relate to them that creates this significance. Weaving nose hk together with a practice based on yoga and mindfulness, I have been leading sensory walks and experiences, to engage in our city creatively, and mindfully. From rediscovering connections with the surroundings, we open up ourselves to connecting within, with our emotions, and sharing it with each other. While Hong Kong has one of the densest populations and most expensive housing prices in the world, private space conducive for reflection and looking within is a luxury. Sensory stimulation can be overwhelming: light and sounds from billboards, being sardine-packed into a train, the salty smell of sea, curry fishballs, incense… It is easy to numb our senses, escape from what is around and dive into the other world made available by our smartphones and noise-cancelling headphones. Every time we pause and take a conscious breath, being aware of the air coming in and out of our bodies, we are creating a sense of spaciousness within; a beginning to relating more closely with ourselves and with the world around us. 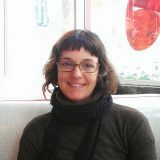 Jennifer Monson is the artistic director of iLAND-interdisciplinary Laboratory for Art, Nature and Dance. “… from the changing conditions of the earth’s atmosphere, to the exchange of air between us through our breath [air] holds us to a collective sensibility. At the edge of the troposphere, 12 km above us, at the outer edge of exosphere, the dynamic boundary between the earth’s atmosphere and space, 10,000 km away? Or in the minute/tiny exchange at the membrane of a cell, or in the quiet stillness at the beginning of each inhale and exhale? We see air when the wind plays with a plastic bag, that feral urban balloon that has become an iconic, ironic and poetic image of litter in the city, or when we see the wings of a bird beat the air as it pushes its small body forward, propelling it into flight on its long migrations north and south. As a choreographer I have used the dancing body as a research tool to develop embodied knowledge of environmental phenomena such as bird migration, abandoned reservoirs, watersheds and aquifers, as well as the city itself as a dynamic and adaptive space. Improvisation has been a key to this process. It provides a way of researching across scales of perception and sensation from the internal landscape of the body’s imagination to larger moving phenomena such as weather, waterways and social, political and cultural movements that shape our understandings of urban communities. Document describing the iLAB LAboratory. Photo: Jennifer Monson. The body is a highly tuned instrument for calibrating these small shifts, and for collecting environmental data … with more layers than most of the digital tools we use. 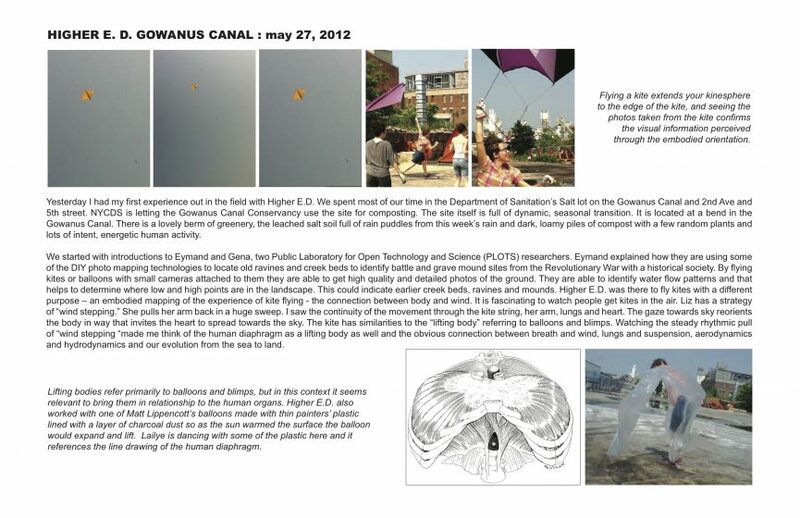 In 2013, I had the opportunity to mentor the iLAB residency, Higher E.D., with dance artist, Lailye Weidman; dancer/scientist, Jessica Einhorn; and landscape architect/urban designer, Liz Barry of Public Laboratory for Open Technology and Science (PLOTS) as they researched urban weather systems. Watching them launch kites and balloons with small, cheap cameras attached to them, up into the urban sky gave me a keen sense of how bodies can understand the movement of wind, heat and pressure from this activity. After this experience, Liz articulated a thought that I had long sensed: that the body is a highly tuned instrument for calibrating these small shifts, and for collecting environmental data—in fact even more precise or with more layers than most of the digital tools we use. This kind of knowledge is often undervalued as we rely more heavily on digital tools that bypass the body’s intelligence. Bodies are full of information and expertise and, when they move/dance with intention through the world, they can pick up on the subtle shifts and changes that are happening over time. As the weather systems that are hitting our global cities become more intense and damaging, and as the images on news media become more dramatic, we are instilled with fear and rely less on the more subtle cues from the landscape itself. In this intensity it seems important for us, in the words of oceanographer, Phil Orton, to invite grace instead of fear. We can build a huge wall to protect ourselves or we can nurture porous boundaries that allow us to be in a more delicate and constant relationship with the powerful forces of climate change that are shaping the earth in this moment. Improvisation is about spontaneous decisions that are based on long-term experiences with pushing into the unknown and mining the imagination to help us bypass old habits and imagine new ways of moving and understanding the world. Improvising bodies are also relational and interdependent, like the layers of the atmosphere, and in this way they are also political. We can build a huge wall to protect ourselves or we can nurture porous boundaries that allow us to be in a more delicate and constant relationship with the powerful forces that are shaping the earth. In this contemporary moment when political ideologies based in fear, such as white supremacy and xenophobia, are erupting in our political systems and power is represented through images of walls and fortified borders, it seems apt to look at the momentous, dynamic movements in the air above us. For example, the acid rain produced in one place that poisons another, the rages of weather systems that bring torrents of water to one city and drought to another, as well as the pathways of migratory birds and insects that weave a web of connection across ecosystems and communities. The atmosphere is clearly shifting—more CO2, more greenhouse gases, rising temperatures. Air has its own power and is something that we share across scales from the changing conditions of the earth’s atmosphere, to the exchange of air between us through our breath. It holds us to a collective sensibility. How can we use our bodies to attend to and imagine new and more equitable conditions of cities with grace not borders? As we move through and in the air around us, how can we attend to the ways fear keeps us from embracing the novel, more just urban ecosystems we are in the process of sustaining and creating in our cities? 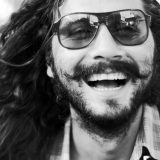 Karahan Kadrman is a songwriter, composer and multi-instrumentalist who creates music and songs for movies, theater plays and modern art. We use air to communicate with the universe, with nature, and with people through breathing. 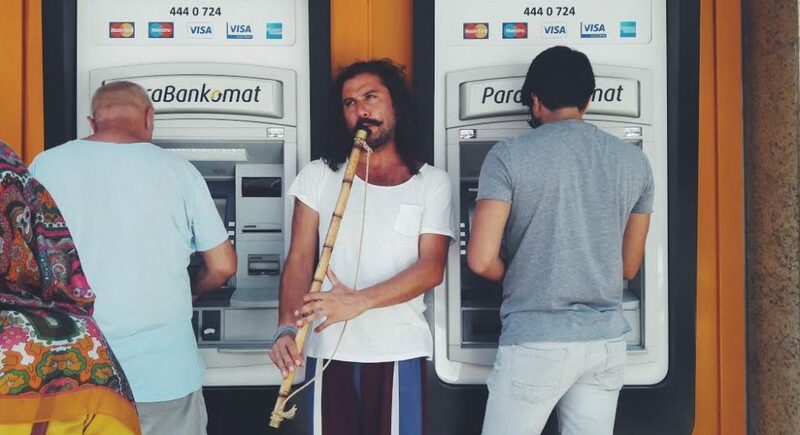 I breathe air into the Eastern-Anatolian “Ney flute”. And I breath air into the Native American “Spirit flute”… and this air unites every culture in one body. Through those two flutes, traditional Sufi and Native American rituals come together in today’s living conditions. In one single breath. Breathing air is the first and most basic common feature for most living beings to survive. Air transcends culture. Air is air for everyone. People who don’t know to which cultures these flutes belong to always have the same reaction. They calm down and stand at the doorstep of their inner journey with a mystical expression on their face. They are moving completely away from the external worldly system and from social pressures. Where I was born does not matter. We use air to communicate with the universe, with nature, and with other people through breathing. People communicate with the “inner and outer world” through breathing to try to comprehend the cosmos and themselves. There are no verbal or written literary languages in this communication established through breathing. There are no words. Here, the sonic language is universal. The flutes uses the “Air – Breath” to implement subjects and emotions that cannot be expressed in words based on a single source of communication. Through the breathing of air music expresses itself. Music is the way of communication that at that moment connects the place, the sky and the known-unknown. 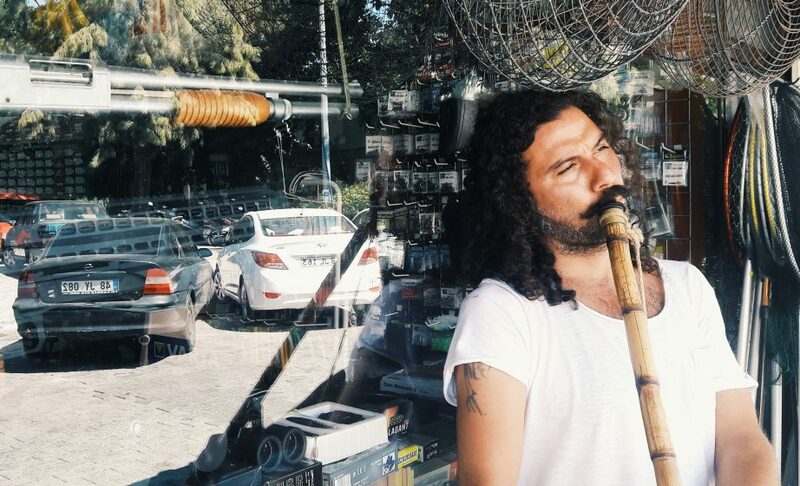 Recently I created a workshop aimed at creating collective work on the Breath using the Ney flute which is a Mesopotamian-Middle Eastern-Anatolian blowing instrument. The name of this work is Nef’ses, which is the combination of nefs (nafs – ego), nefes (breath) and ses (sound). 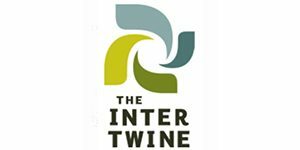 In this work, we share our experience of breathing techniques and postures as well as mystical stories of the Ney flute, of the nafs and of sufism. Then together we blow the Ney on our way to our inner journey. In parallel to this group study on the Ney flute, I am investigating the culture of the Spirit flute from the Native American Nations. Using “Air – Breath” the flute communicates with the nature, trees, sky, water and animals. While I play amongst trees, I experience that the trees establish a connection between the earth and the sky. When we communicate with trees, we talk to them and at the same time we listen to the unknown, the unspoken and the mystic-esoteric. This process continues and spirals in an oval movement. It has no beginning and no end. It has no conclusion and no cause-and-effect patterns. It becomes the sound and the ear to perceive the “continuing me” in the vanishing and re-constructing universe—at every moment. These rituals must go on so that its effects can endure in our society and lead the artists’ souls in rural areas and in cities. The Ney [flute] speaks to the heart and conscience of people … These rituals must go on so that its effects can endure in our society and lead the artist souls, in urban and rural areas alike. In urban areas, machinery, industrial sounds and the heart’s conscience operate simultaneously. It becomes difficult to hear our inner voice with this volume level. The capital system uses many arguments to prevent us from hearing the voice of our consciousness. This noise in the city is carnal and aimed at the nafs, the ego. and there is mutation in the living. Even the air is different. Only the sky is the same. There is almost nothing here that could be found in the forest or in the countryside. In this urban struggle, the musician-artist we encounter, especially in the city streets, conveys to us the experience of the inner journey and the knowledge-inspiration. He expresses the collective breathing acquired from nature via the flute through “Breath – Sound”. The Ney speaks to the heart and conscience of people. 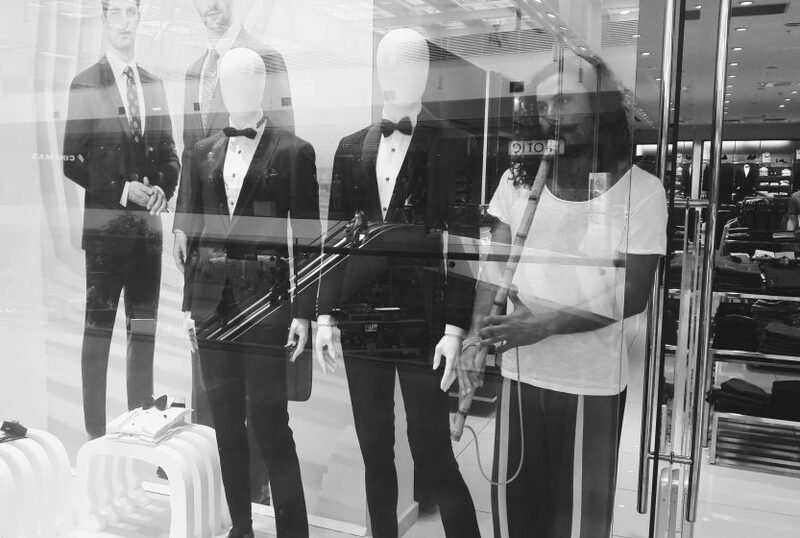 The musician exhibits a stance against all the city chaos and represents a balance that exists in its antagonism. He whispers in our ears that human conscience-heart has no religion, language, culture, gender, hierarchy, and authority. Artists are at an unusual place in an unusual way via “Air – Breath – Sound”. They invite us to the inner world, to love and to a just and equitable universe. We began to understand indications of health and well-being, but standing before the tree we sensed a slow moving entity whose breath signs were hard to perceive. Air (like food and water) is a condition and foundation of life. Where my partner Reiko and I once worked with such elemental realities, these days we are primarily interested in being in dialogue with living things. As we started out with this new body of work, we established a critical framework relative to our practice. We committed to ideas of interface in rural settings and correspondent images, ideas and artefacts in urban settings. We committed to experimentation with empathic exchange with more-than-human others, and the idea that art should make a small contribution to the wellbeing or prosperity of living things. For over twenty years, breath has been a topic of inquiry. We ask ourselves how we can best attend to it, as it is manifest in living things. What do we mean by this? In the bed late at night I listen to her and she listens to me. When we were first married in California she did rehabilitation with small birds and mammals, in the middle of the night we would wake up to feed them, always listening. In the morning we would lie quietly in the dark listening intently for breath and signs of small creatures stirring. More recently we spend a good bit of time with “the Darkness”, a large prey animal, changes in his breathing are a good indication of distress, curiosity and contentment. Working on land and water for over a decade in Pennsylvania we began to see the breath of the river, the respiration of forests—early mornings in the fall and the spring were particularly good times to see what was most often invisible. We wondered about individual plants and trees and were learning about empathy with human and more-than-human others. We began to understand indications of health and well-being, but standing before the tree we sensed a slow-moving entity whose breath signs were hard to perceive. We are interested in cultural decoys as both intention and method. A cultural decoy is an embodied idea that has a finite form here and now but links to an infinite set of things that occupy a separate historical and/or spatial context; they are autonomous objects that offer a visual and conceptual entanglement in things and meaning. They can be understood as a focal point for imaginative engagement. We see the Plein Air work as one of a series of cultural decoys. It is an intentionally deliberative artwork that is composed of trees and a carefully formed wooden body that emanates live video and sound through scientific and technology based systems. Working in real time we hear the life signs of one leaf on a tree. The sound is distinctive; the bass lines are rhythmic the chords are more expressive. Walking around the system viewers notice the bass lines first. They reveal increase and decrease in photosynthesis and transpiration in a single tree leaf. A complex set of accompanying tones ‘shaped’ by subtle changes in specific sensor data provide a melodic quality that changes in pitch, timber and volume as the leaf undergoes changes in relationship to the air around us. There is a subtle, higher pitched tone that reacts to available sunlight, and the loss of sunlight, as shadows are cast or a cloud passes over. The actions and reactions of Plein Air are driven by a tree leaf, in relationship to light, temperature, humidity and the breath of humans. The breath of a tree: With this sculpture we are working with the recognition of the speed of reaction as a tree leaf responds to changes to temperature, humidity, carbon dioxide and sunlight, and the move from a language-based, visual-sign output to a sensory, sound-symbol output. The challenge was how to retain focus on a tree and its environment. The mediated experience with sensors and sound interrupts perception and the idea (the normative value) that trees are slow moving things, out of sync with human experience of time and place. We are currently exhibiting this work at home in Glasgow (at the Glasgow Botanic Gardens), where we are struck by those that return to listen again, who bring family and friends to hear the sound of a tree. The experience requires a mix of knowledge and imagination; people understand it on different levels. During the day, interesting discursive spaces emerge with people from all walks of life, with trees a palpable part of the exchange. 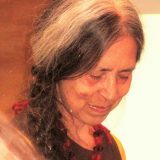 Cecilia Vicuña is a poet, artist, filmmaker, and activist whose work addresses ecological destruction, human rights, and cultural homogenization. If the commonality of our breath guides us, a city free of poisonous air may arise. sub-marine creatures. My first thought was air. Have we learned to breathe under water? I sense the city with my breath. I hear air and it hears me. Air is language; it speaks as we breathe in/out. But we no longer hear. There’s an air of excitement in the streets of New York. That feeds on unrealized dreams. Yet, who sees the oneness? We have forgotten the com, of the common force. Air short of breath, short of imagination, is unable to expand its lungs. If you were to ask air how it feels, it would say HELP! We don’t feel people’s suffering, or the suffering of air. When the commons is erased, not even air can weave us together, joining the opposite weight of sorrow and joy. The only commonality we have left is the poison we carefully breed. by its compulsion to work and work until no more breathable air remains? Our bodies work to serve the machine. Our bodies work ceaselessly to kill the air. Our bodies align with death. Yet, air desires to play, to sense our sensing it, as a flower senses wind. They say a flower has twenty-four senses while we have only six. If we heard our latent senses, a new sense of “Sense” may arise, a sense of the city as a wondrous common ground. A web woven by none but all at once. I remember the first art project I proposed in New York in the 80’s: I said: “Manhattan, such a tiny island! We can walk it from top to bottom; why let cars in? This should be a city for walkers, cyclists and little sun-powered vehicles for deliveries and the infirm. A city of breath.” They thought I was mad. said Valentinus in his Gospel of Truth. Translated by James O’Hern with the author. Cinematography by Francesco Cincotta, edited by Chris Borkowski and Paige Saez. This work was part of the Cloud-Net travelling exhibition by Cecilia Vicuña organized by Hallwalls Contemporary Arts Center, Diverseworks Artspace and Art in General. 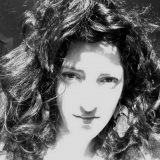 Julia Stern is a sound & visual artist, composer of acousmatic music and therapist. Air becomes a tool to communicate, dissolve tensions, transform resistances, it opens up hearts and looks, cleans up the perception filters and cloggings in the body. Air becomes a vehicle of intention, a bridge between matter and consciousness. How do we listen? How do we learn to perceive the world that surrounds us? As an artist, composer and therapist, my process is one of an “ecologic listening” to our environment, questioning our modes of perception, in search for nuances and sensitive interactions with the living. From a physical standpoint, Air is a propagation medium for vibrations. Sound travels through vibration of air molecules, the impact of which propagates to our ears. When the frequencies of these wavelength are circumscribed to a certain perimeter, we may perceive sounds. Beyond a certain threshold, frequencies are not audible to the human ear, nevertheless, these frequencies do propagate in the Air, in their secret language. In my work, Air is a metaphor of the field of information for what is almost audible and questions what is happening beyond the threshold of our perceptions, explores the possibilities of interacting with this information, which is there, beyond words and sounds. The vibratory dimension of Air, transporting emissions of matter, may be used in my work as a metaphor in order to talk about intuitions, memories, feelings, emotions. Air embodies here the conscience and receptiveness that lies in the matter. My movies through various initiatic travels and tales, present individuals who have developed that capability to perceive the tenuous, kinesthetic signals of the world around them. There, the human body becomes the antenna picking up those frequencies and becomes the sounding board revealing them. Artistic creation becomes a possibility for me to create new languages in order to gather and give substance to these feeble signals, these subtle dialogs between living beings and their environment. My movies introduce people who are listeners, who perceive and feel their environment in a subtle way. They speak the language of atmospheres, a language of Air. The Structure of the Diamond tells of an initiatic voyage made with Jorge Flores, a Peruvian shaman. With few words, he travels through desert, town, mountains. In this movie, the exploration leads to the heart of a cave, with the archetypal image of a bird-man. The structure of the movie proposes shifting modes of perception from logic to sensoriality, and invites the audience to feel the atmospheres rather than grasping them with their minds. In that movie, the wind plays a part of its own, bridge between two worlds, two modes of perception. The wind embodies mystery as an initiator, a guide towards the world of perception. It is a wind of ancient knowledge. Air as a messenger of information and a field for the propagation of consciousness. 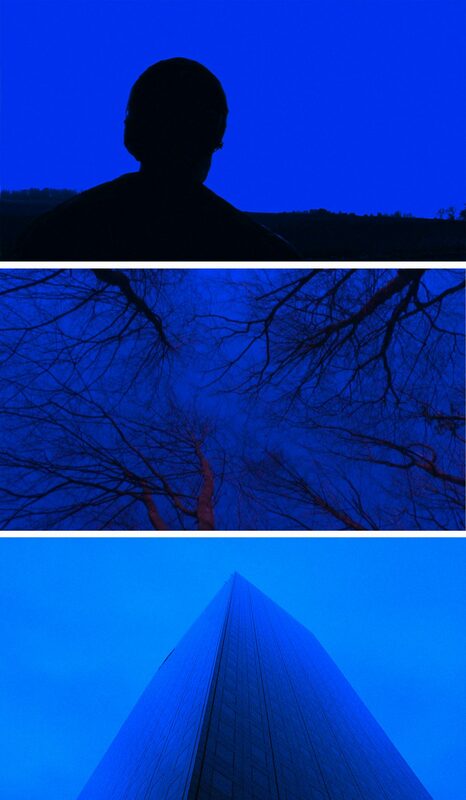 Stills from the movie “Searching for L frequency”, by Julia Stern, 2013. See below for the link to the film. In that movie, the sound is a means of revealing information traveling through Air but that our ears cannot perceive. In the meantime, the movie includes the portraits of four characters, whose interaction with the world takes place not in action but in perception. That interaction is invisible and the characters, in positions apparently static, enter into resonance with tangible information emanating from the environment: the movement is internal. By giving some space to what is not tangible nor visible, these characters reveal the unique relationship they entertain with Air and wave vibrations. In my acousmatic sound installation, Elementary Openings, Air intervenes also as the creative breath animating the matter, a kind of ode to the elements. Breath, wind, song, meet like a guiding thread and impulse movement, deploy matter. The piece begins with a long slick of wind and flutes, a breath following traces of an origin, a fertile breath giving birth to primary elements of the nature all through the piece up to sounds of urban environments, in a continuous cycle. Audio credit: The Elements Openings, an acousmatic sound installation, by Julia Stern, 2017. That animating breath, I also felt it with healers and shamans with whom I worked in various cities of the world. In their healing methods, interaction with Air is always present. Sung or whistled breaths are directed with an intention towards the being, the body parts, the plants, the elements… Air becomes a tool to communicate, dissolve tensions, transform resistances, it opens up hearts and looks, cleans up the perception filters and cloggings in the body. Air becomes a vehicle of intention, a bridge between matter and consciousness. As a therapist, and in the approach I propose with Ericksonian hypnosis, Air is also the element of passage between different modes of perception of the world: breathing can act as a guide to contact that inner place from which one opens to his perceptions in full consciousness. François Roustang, a hypnotherapeut, refers to this condition as a state of Perceptude, when a person is immersed in his/her perceptive universe, without intervention of the intellect. While « common » perception segments, Perceptude is a state of perception of the continuity of the being and of consideration of our links to the world. Somewhere in the breath of the Being, some precious information is emerging on the surface of the conscious mind, adjusting the positioning towards the world and renewing an art of living. 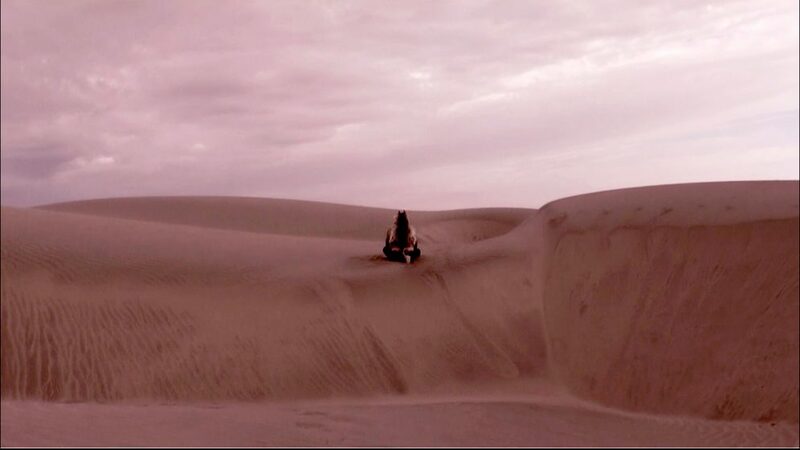 Holding on to listen, taste the Air, the ambient atmosphere, through the all body. Perceiving the nuances requests that we take time, our allies being the slowness and the softness, to take time to realize that our body already perceives everything. It is only the process of thinking that needs time and humility to open some space to this language. Hold on in the midst of the city, wherever you are, whenever something pleases you, unpleases you or makes you react. Take time to install yourself in your body posture, wherever your body wants to perceive. Install yourself in the midst of time among the global movement, and just observe your feelings about the Air that surrounds you, with closed eyes and an imperceptible body movement. Let your whole body become a surface of impression. It is like being curious to discover the different textures of the Air, its temperatures, its colours, its smells, its movements, its personalities according to the locations, its moments. Observe how your body is reacting to the different spaces: do you feel comfortable or uncomfortable? What perceptions and emotions are present, do you feel a kind of invitation, do you perceive a need ? Which part of your body is attracting your attention? What does this part of your body knows about this kind of Air? In an urban environment, we have the possibility to interact with the atmosphere of a place or a moment through the Air. I am inviting you to try the experience of blowing some kind words towards the corners of a room, towards a thing or a being. Try to install some consciousness intentionally in the space, it could also be as simple as greeting whoever or whatever is here, thinking that you thank them to be here, wishing them to be well, blowing on them a colour, or something you like. It is like making a wish and blowing a candle, or blowing a kiss towards someone you love. Blow your wishes towards some spaces, some beings or some things. Then close your eyes and notice whatever is changing in your physical sensations, in your perception of the space, in the response of the environment. It can also simply be done in silence, spreading those thoughts during the expiring in the directions you choose. Angelo, thank you for sharing that my essay brought out the beauty of pigeons and crows for you. That is about the best thing I could have hoped for when I was writing, and when I make my art. And Tim, I loved hearing about the Darkness. Beautifully described. I can see his winter coat. Aren’t our families wondrous when they include species other than our own. I enjoyed reading Fanny Retsek, San Jose post titled, “Look Up” because it brought out the beauty of nature (specifically birds) within the city. The writer included their own view of how they perceives pigeons and crows. What I found interesting is that, I never thought of or was aware of the unique qualities that these birds have and their beauty. This shows how some of us can overlook a part of nature that is beautiful and interesting because we already have a perceived notion of it and are familiar seeing it in our daily routines. Fanny asked about the ‘Darkness’. My partner Reiko adopted the Darkness back in October 2014; against all rational understandings of our finances and my own misgivings. I was wrong. He is a native of this western archipelago. Since then he has earned various nicknames; ‘the rabbit’ or the more endearing ‘bunny’ which describes his herbivore nature but also his sweetness and demeanor which in some ways is not unlike Hazel Rabbit who lived with us for twelve years or so (along with a squadron of love birds and a blind pigeon named Oedipus… but that is another story.) Then there is ‘little’ a name I may have settled on despite his weight and brawn (if not his stature) he is upset by things that seem inconsequential to the rest of us. At times he needs the kind of attention we give to human little one’s. He is a gentle soul. Yesterday… after a very long weekend of work we got to the stables about 4:30pm. Mr D was very happy to see us, but we were both a bit too tired to ride so I took him out for a little exercise on the lunge line. (A long rope attached to his halter which lets him run in a great circle.) Watching him move ‘naturally’ without anyone on his back is always a pleasure. With ongoing forecasts about a cold winter in Scotland…. we were both struck by the length of his fur, he was looking like a long legged bear as he walked, trotted and cantered about; he is always happy to stretch his legs. After we are done we let him off rein and he wandered about, doing horsey things, then a bit of trotting teasing and playing with us, other times showing us how fast he can really run when he wants to. At the end of it all, he settles down then walks to Reiko for a pat and a snack, a bit of attention. On the way back to the stable she turned and said… “He is a precious being, isn’t he?” Indeed he is, we see the world differently because he is part of the family. Over my coffee I have been thinking about this dialogue. I have been unsure where to go with it. I enjoy all the articles, they speak of a range of creative individual practices. Each narrative tells a story of obsessive compulsive engagement, with what I would argue is an evolution of subjectivity through arts practice. Some practices are more social than others. Much of the commentary suggests that the interrelationships suggested by these practices is a panacea for anthropocentric culture and the economies that were based on freedoms enabled by production of value from raw materials of nature and harnessing the labour of the lower classes. The enlightenment delivered a powerful vision of heaven on earth, where a select few occupy the palaces of industry and commerce. Politics were supposed to be the balancing lever, elected by all as a moral and ethical counterbalance to greed and avarice. So…. art where does it fit? In a recent conversation my friend Chris Fremantle asked a simple question about work that is a formal, technically competent art practice (drawing, painting and photography), but work that largely ignores the historic and contemporary context that should inform serious creative production. Some in our group claimed it is not art, it is a technique. Personally art or not art is a question that doesn’t interest me. What I see in this work is competency and practice. Chris asked if the scientist making art doesn’t have a different value system than the artist making art. This got me to thinking, I started with internal and external drivers. The internal quest to challenge our own subjectivity the framework that we use to make ‘sense’ of the work. The external quest (for me) is to contribute to my field in some meaningful way. To function as an artist’s artist but also to produce works that knock people off balance a bit. (I think of the experience of artwork as either a splinter that keeps reoccurring and disrupting our lives or perhaps as a pleasurable moment that seeps into the atmosphere of our mind.) I don’t see art as an panacea, it has individual potentialities but its social impact is 1+1+1+1+1… until it runs out of steam. So there are internal drivers, there are external drivers but I think there are also social-environmental drivers… I think there are things in the world that seek interrelationship on a lot of levels. This is the focal point of a lot of the work described above, my life and yours I imagine. The question is how do we (as creative beings) find our own path into that inter-relational existence. it is a muddle to be sure, there are no road maps or wonder cures, there will be no vaccinations against descending into the depths of our own minds listening to the id and the ego battle out the meaningless of life. Art is a path not a destination it is a result of open passionate curiosity and a life long engagement with subject, object and environment one way to describe the framework cradles our intellect our imagination and our social relationships. The question the is left behind in much arts training is the question of social contribution. How does a collectivity of individual seekers begin to recognize the strengths of collective interests? “Attention, depth, and humility” feel like beautiful words to describe the feeling of Air itself. To answer your question Patrick, on how can we incorporate this way of being in new aspects of our contemporary lives, i feel that the direct conversations with the non-human realm is central, without intermediaries. I feel so inspired by all the contributions proposed here, as they offer so many different ways to connect with Air. This element opening our perception to ourselves and others such as trees, birds, water, other humans. In a sense Air becomes an activator, an agent, that can shift our experience at any given moment. To bring this awareness of Air in the workplaces, community meetings, public transportation, and more, is obviously a great challenge. In the contributions here, I can see beautiful patterns that can be used as answers. 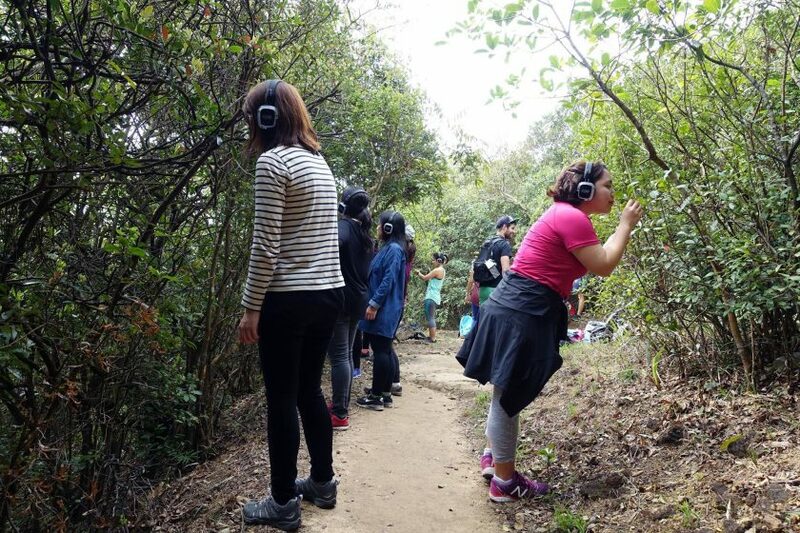 From organizing walks in preserved wild areas in or nearing cities, such as Maggie’s nose hk sensory hikes in Hong Kong or Karahan’s musical walks in the forests near Fetiye. To tuning ones body to the world through group dance practices in open city spaces as explored by Jennifer in the Bird Brain dance and by Cecilia in the Cloud-Net performance, both in New York City. Or crafting spaces or objects that offer focused perception of a phenomenon, like Tim’s Plein Air sensory sculpture interpreting the life of trees, and Fanny’s poetic prints revealing the beauty of city birds. As you suggest Maggie, it feels like the re-emerging culture of meditation and mindfulness in contemporary cities can facilitate the access to grounding emotions. I really appreciated Julia’s meditative exercices introduced at the end of her text. We can practice them at anytime and anywhere in the city. An other suggestion I found in Cecilia’s poetic words, when she writes « Yet, air desires to play, to sense our sensing it, as a flower senses wind. » The sense of play and the joy of reciprocity is surely an answer to rejuvenate our intimate, spontaneous, playful conversations with the nature in cities. I’ll be happy to know more about your perceptions of this specific playfulness, this direct joyful feeling, in your work and daily lives. Thank you for being part of this, together 🙂 As I read through the articles of all of you and the comments, I reminded myself to breathe, to be fully present to them – the fruits of years of work by each of you. All the different, but same air that we are breathing on different continents and cities. I find myself drawn to Julia’s work, and love the audio clip! On Patrick’s question on “attention, depth, and humility”, I find that art, mindfulness and social activism are some of the areas which have been propagating these elements. With the rising popularity of mindfulness and urban farming movement, I feel that elements of this is being introduced. Many people / industries have a focus on efficiency thus not paying attention to these values- and I believe it is not easy necessarily to introduce an alternative to “reverse” their pattern. One idea that came to mind is introducing these elements into therapeutic settings, where people are “forced” by physical / psychological conditions to pause, and find new ways to live. It is almost “easier” to change patterns then, when people have gone through a degree of suffering and needed new ways of relating to the world. Another more progressive idea is in education – whether it be through art, well-being, study of plants, religious studies, philosophy, museum programs etc. To see the interconnectedness of nature and us, I think it could be really useful. Beautiful writing and very inspiring projects. What a pleasure to read about the breadth of work and connections to air. Phil, your project touched me personally. It brought back memories from when I moved from LA to a small town in the redwoods. Not only could I feel the oxygen produced from the forest, but I could hear the trees. I would sit silently beneath them and listen as they squeaked and stretched and I knew they must communicate with each other and the world in a way that I could not hear. I thought I could join their community like Jane Goodall did with the chimps, if I was patient enough that is. I am also curious about “the Darkness,” who is this mysterious being? Reading the responses here is a joy. It amazes me that, within the category of “air,” there are endless facilitators of connection between humans and the larger ecosystem. This week I sat on the train going through Seoul, as I usually do, and I observed (as I also usually do) that 9 out of 10 people are glued to their cell phones for one reason or another for their entire trip. In this context, Jennifer’s remark about “digital tools that bypass the body’s intelligence” takes on a special significance. Looking at the people on the typical commuter train here, it is clear that we are most definitely “connected,” quite constantly. Yet this connection generally occurs with tools that are incapable of facilitating the kinds of personal relationships that we arguably need very desperately as a society. Or are they? Tim Collins’ work suggests at the very least, that 9 out of 10 of the people on a Seoul subway train could benefit from technology-based works about nature, if not to facilitate a deep connection to nature, then at least to form a first bridge toward re-connecting. On connecting, Fanny writes that “birds connect me to the greater ecosystem,” while Karahan shows us that music “connects the place, the sky and the known-unknown”. Maggie uses meditation and smell, Julia suggests we already sense yet lack the time and humility, and similarly, Cecilia suggests this connection can be found a simple breath, when looked at deeply enough. As human beings, what are the ways we can incorporate such “attention, depth, and humility” into disciplines that don’t normally build their foundations on these aspects? On Tim’s suggestion, what are the ways this has been done before? What has failed and what has worked? What could be re-worked? First I should say that this work was initiated and developed with my partner Reiko Goto Collins in the lead during her innovative PhD research residency at Robert Gordon University. 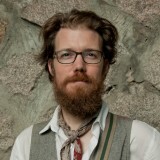 Chris Malcolm a musician/programmer is another key collaborator. I should have given a more complete author/artist list. Reading the brief history of this work I can’t help but wonder which artists were breaking new ground in this general field on all five continents in the late 1960’s and 1970’s? I wonder if this deliberative format might not produce a wider range of artists, genders and cultural contexts for our consideration? I also wonder about early humanities based environmental writing. Ecotopia by Ernest Callenbach was always one of my favorites; Ursula Le Guin The Name for World is Forest and A Wizard of Earthsea are also worth mentioning. I was devouring a lot of this kind of writing setting my imagination free by doing so in the 1970’s and 1980’s. Development South America Networks Participation/Democracy Wildlife People Interactions Experiencing Nature Asia Policy Gardens Landscape Stewardship Communities Pollution Sustainability Planning Biophilia Livability Wetlands/Rivers/Streams Biodiversity Conservation Education/Knowledge/Learning Disasters/Red zone Culture Health Water Architecture Parks Resilience Governance Economics North America Ecosystem services Tools Design Climate change Awareness Value Art Justice What is urban nature?